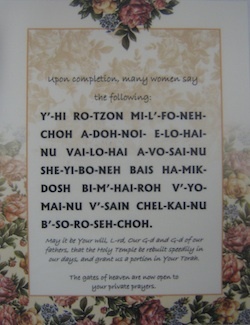 Decorative laminated Yehi Ratzon prayer recited by many post mikvah immersion. Transliterated from Hebrew to English. Translation included.